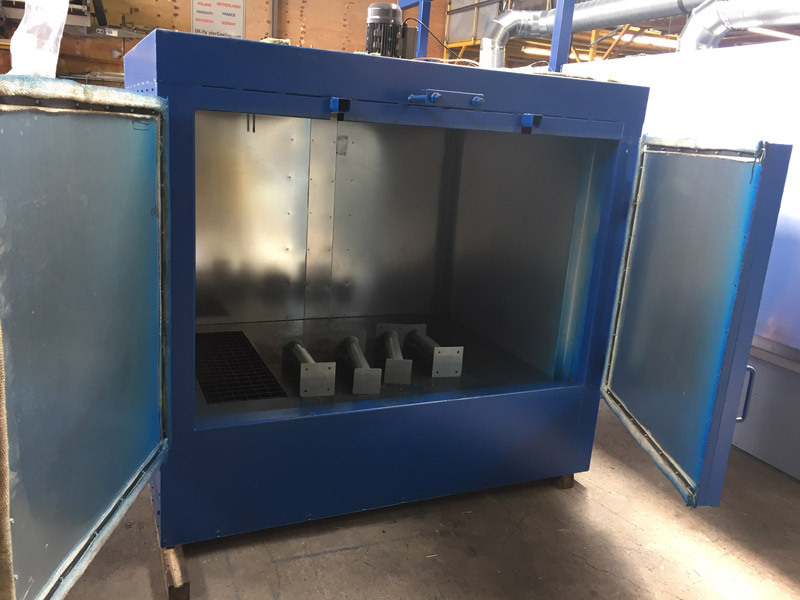 Our compact powder cure ovens are suitable for alloy wheels, bike frames and small components. 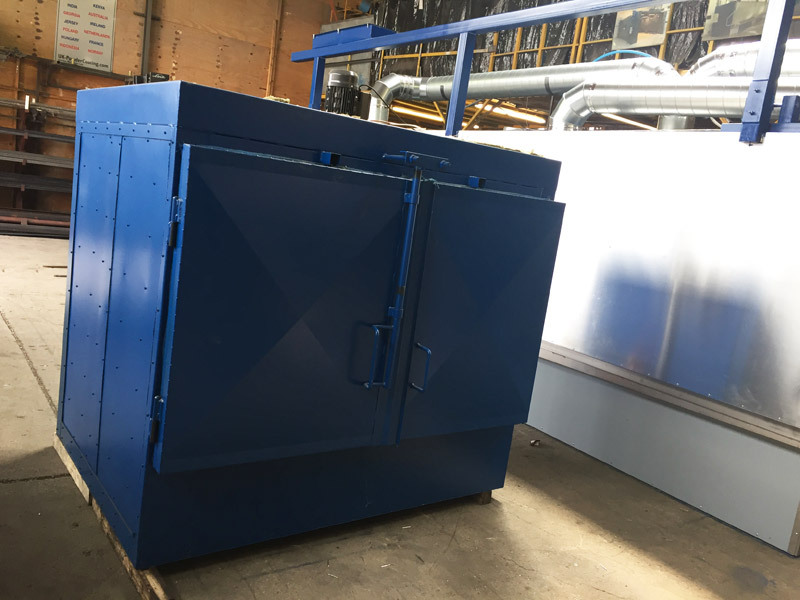 At last an industrial and heavy duty gas fired oven that is easily transported and installed. 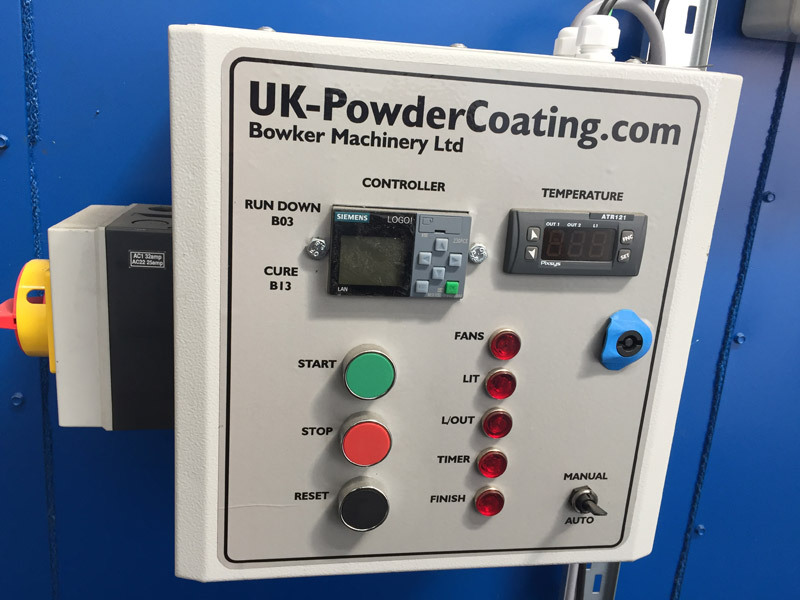 Check out the following features and you will realise that this in another unique product from Europe’s leading manufacturer of state-of-the-art powder coating pre-treatment machinery. Internal size: 1.6M x 1.2M x 1.1M. Fits two sets of alloy wheels. 120kW burner with extremely efficient “low nox” technology. Can run on natural gas or L.P.G. Powerful high temperature hart distribution fan, can be single phase if required. Computerised control panel with automatic timing, used on our range of ovens since 2004. Insulated panels made from zinc coated steel and heavy grade rockwool rated at 60kg weight per M3. Designed to be transported cheaply on pallet system, fits onto double pallet and is under 2.2M tall. Installation is quick and easy, simply plug into domestic socket, connect gas bottle and fit a flue pipe to the outside. Complete with all safety features and fully compliant. 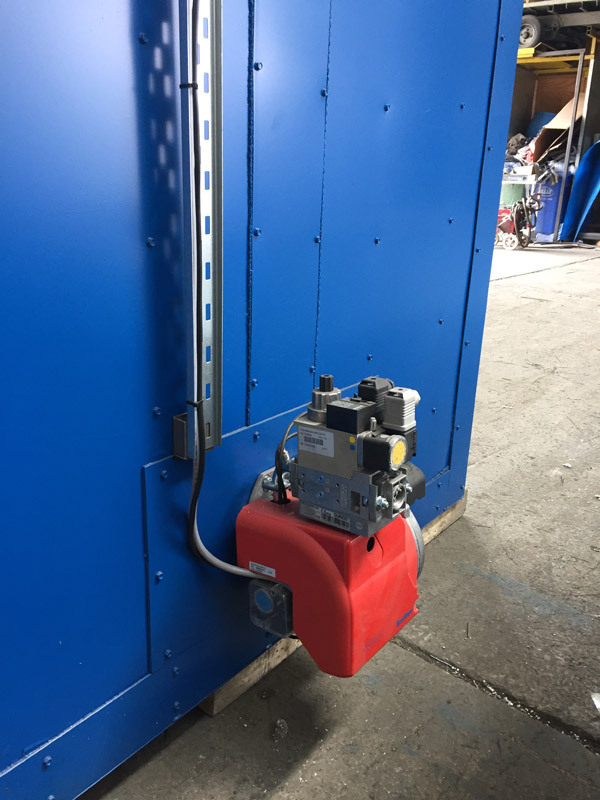 Features include: Internal door release, explosion relief panel, air pressure switches, over temperature cut-off, operating instructions, data sheets. 12 month guarantee. Service contract available.